Seasonal craft beer is a gift in itself. 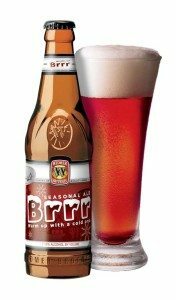 These winter beers will keep you warm when you’re shoveling the driveway, and happy when you’re sitting by the fire. Grab them before they’re gone! Beer Description: Layered with rich, nutty chocolate notes and malty, roasted caramel flavors, our brown ale gives you plenty to contemplate on long winter nights. Beer Description: Brewed in the style of an English Olde Ale, this ale balances the sweet heady aroma of spruce tips with the clean crisp finish of noble hops. Its malty richness is complemented by the warming sensation of alcohol. Beer Description: A funny thing happens here around summer’s end—our eyes start searching the skies for those first fall flakes. As we welcome autumn’s first snow, we celebrate the return of Isolation Ale—a sweet-caramel malty ale balanced by a subtle crisp hop finish. Whether you ski, shred, or shoe, it’ll inspire you to make first tracks. Try it in this green chili recipe. Beer Description: Warm up with a cold one. Or two. Our winter red ale is the perfect treat, naughty or nice. The deep red body fills your glass and a citrusy hop aroma fills your nose. Then caramel and chocolate malts reward you with a perfectly balanced, malty sweet flavor and velvety finish. Beer Description: Is there anything more iconic of the lush tropics than the coconut? The delicious heart of the island treasure has a nutty, toffee flavor and aroma that sends you straight to the beaches of Paradise. Kick back with a Koko Brown, brewed with real toasted coconut, and savor the mahogany color and smooth, roasty malt taste. Before you know it, you’ll feel like you’re on a crescent beach, ringed with feathery palm trees swaying in a light ocean breeze and basking in the warm sun. Beer Description: Drink beer, stay warm. This delicately balanced Strong Ale starts with dark copper color mixed with slight reddish hues and a light tan head. Big malty aroma with a Munich character give way to a slight caramel & toffee mixed with spicy noble hop aroma, all wrapped together with a medium-bodied mouth feel. German malt flavor profile with slight roasty notes give Pray for Snow a subtle toffee sweetness balanced with spicy hop bitterness and slight alcohol warming. 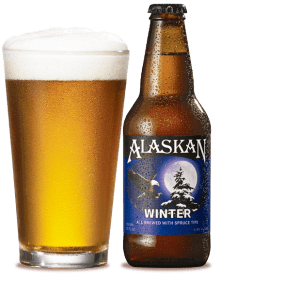 Beer Description: This Winter Pale Ale pours golden with orange highlights. Smells alluringly sweet like caramel apples with a little spice and orange zest. Taste is bold and balanced with a good amount of citrus and earthy hop bitters to offset the malt character. Finishes dry with a bit of fruit. Beer Description: An infusion of old-world beer and contemporary soul. Smooth, dark and roasted with highlights of chocolate, coffee and vanilla. Pair with beef, Indian or Asian cuisine and chocolate or vanilla desserts. Beer Description: Made with coffee from UP Coffee Roasters, this brew has the nose of a chocolate covered espresso bean. Let it pour over your tongue as notes of espresso and dark chocolate tantalize your taste buds. Coffee lovers, chocolate lovers, beer lovers- everyone will love this brew. Beer Description: Lift Bridge’s Warden Milk Stout clocks in at 5.75% ABV and pours a deep black with a thin, whitish-tan head that quickly dissipates. Aromas of coffee with hints of smoke greet the nose, and the beer’s flavors include a complimentary combination of sweet and savory in the forms of chocolate and roasted malt. At 23 IBU, there’s a trace of earthy hop bitterness on the backend. The mouthfeel is silky smooth and the unfermentable sugar from the lactose leaves the sweetness on the palate that you’d expect from a milk stout. Beer Description: Harmoniously layered with cocoa, Mostra coffee, pasilla peppers, vanilla, cinnamon, nutmeg and milk sugar, this beer is an insanely delicious take on Mexican hot chocolate. Thanks entirely to you and fan demand, it has gone from being a one-time offering to a yearly tradition too special to skip. Feel free to enjoy it long into the winter months because this festive beer will age beautifully and is definitely not exclusive to the holidays! Beer Description: Years ago we started our cask beer program to experiment with new flavors. Our very first cask creation was Buffalo Sweat oatmeal cream stout infused with whole vanilla beans. It was so well-received at its debut at a firkin festival that it quickly evolved into our winter seasonal. This variety adds the silky sweetness of vanilla to the original Buffalo Sweat, creating a rich and creamy, medium-bodied well-balanced beer.